Improved cooking stoves may be a way to reduce exposure to indoor air pollution, improve health, and decrease greenhouse gas emissions. This is largely supported by observational field studies and laboratory experiments. This study tested the impact of a commonly used improved stove that had been shown to reduce indoor air pollution and require less fuel in laboratory tests. While researchers found a meaningful reduction in smoke inhalation in the first year after households received an improved stove, there was no effect over longer time horizons. The difference between the laboratory and field results is due to households’ revealed low valuation of the stoves. Households failed to use the stoves regularly or appropriately, did not make the necessary investments to maintain them properly, and use ultimately declined over time. About one-third of the world’s households and up to 95 percent of people in poor countries burn wood, dung, peat and other biomass fuels, as well as coal, for energy. As women are primarily responsible for cooking, and children often spend time with their mothers, women and young children are disproportionately affected by the indoor air pollution caused by the use of solid fuels and traditional stoves. The World Health Organization estimates that indoor air pollution contributes to nearly 4.3 million deaths annually. For this reason many non-profits and firms have attempted to make cleaner cook stoves by using cleaner fuels and adding chimneys to remove fumes. To date, over 166 million of these improved stoves are in use. However, there is little evidence on the stoves’ ability to improve health and decrease fuel usage and greenhouse gas emissions in real world settings. It is also unclear whether or not people are willing to use and maintain them. This study comprehensively examines how clean stoves perform in a large scale distribution program in Orissa, India. According to the Indian Census, in 2001, over 70 percent of all households in India and 90 percent of households in the country’s poorer, rural areas used traditional solid fuels. Burning solid fuels results in high levels of toxic pollutants, a major risk factor for lung cancer, and cardiovascular and respiratory disease. Indoor air pollution in sample houses was high: health tests to measure smoke levels in the lungs found that primary cooks had an average carbon monoxide (CO) reading of 7.77ppm, while children had an average reading of 6.48ppm. This suggests that children had CO levels similar to those that would result from smoking about seven cigarettes per day. In collaboration with local NGOs, researchers in Orissa conducted an evaluation to measure the impact of improved cooking stoves (“chulas”) on individuals’ behavior and well-being. The stoves were constructed from mud and designed to have an enclosed flame and two pots to decrease cooking time, as well as a chimney to help ventilate the room. While the stoves were largely subsidized by the NGOs, households were responsible for providing the mud for the base, labor, and a payment of Rs. 30 (about US$0.75) used to pay the person who assisted in building and maintaining the stoves. The total cost of the stove was approximately US$12.50. Households were also given training sessions on proper use and maintenance of stoves, and members of each village were hired to help promote use of the stoves and facilitate repairs if necessary. A public lottery randomly assigned the order in which stoves were constructed within each village for 2,575 households. The stoves were distributed in three waves with the first wave receiving stoves in 2006, the second in 2009, and the third at the end of the evaluation. Households were followed for four years after initial stove offers, allowing for an examination of long-run use and impacts of stoves. Stove use: Initial household take-up of the low-cost stoves was high, but over time households generally chose to let the stoves fall into disrepair and used them less frequently. In the first two years, households that received stoves in the first wave were 62 percent more likely to have an improved stove than comparison houses. However, by year three, this number had fallen to 44 percent. 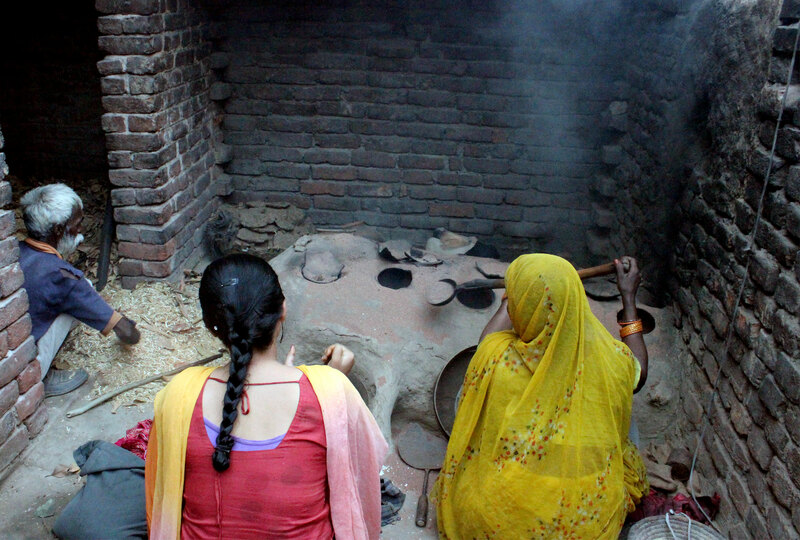 Further, households that obtained new stoves continued to use the traditional one in addition. In the early years, treatment households only cooked 3.5 more meals per week (or 25 percent of total meals) with a good condition, improved stove than comparison households. This difference fell to about 1.8 meals per week in year three as the stoves deteriorated. Smoke exposure: Households that were eligible for stoves showed little improvement in smoke exposure. Household members were tested for the levels of carbon monoxide (CO) in exhaled breath to measure for smoke inhalation. For the household’s primary cook, CO exposure fell by 7.5 percent during the first year but there was no significant change for children. The effect for primary cooks disappeared after the first year as proper stove usage declined. Health status: Given that there was little to no change in smoke exposure, any health effects are unlikely to be due to decreased smoke inhalation. Respiratory tests of lung functioning, as well as a battery of health measures, both observed and self-reported, such as blood pressure, cough, cold and infant health outcomes, confirm that being offered a stove had no impact on health outcomes. Fuel Usage and Cost of stoves: The clean stoves were meant to decrease fuel usage, and therefore fuel costs, and decrease cooking time. They do not appear to have done either, although interestingly, households report that the new stoves performed well on both measures. The new stoves required substantially more repair than traditional stoves. Hanna, Rema, Esther Duflo, and Michael Greenstone. "Up in Smoke: The Influence of Household Behavior on the Long-Run Impact of Improved Cooking Stoves." American Economic Journal: Economic Policy 8, no. 1 (2016): 80-114. Duflo, Esther, Michael Greenstone, and Rema Hanna. "Indoor air pollution, health and economic well-being." SAPIEN. S. Surveys and Perspectives Integrating Environment and Society 1.1 (2008). Duflo, Esther, Michael Greenstone, and Rema Hanna. 2008. 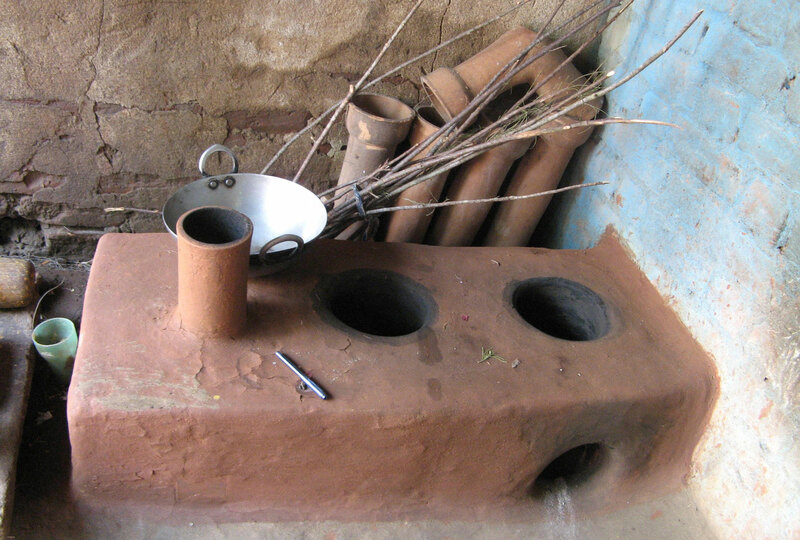 "Cooking Stoves, Indoor Air Pollution, and Respiratory Health in Rural Orissa." Economic & Political Weekly 43(32): 71-76.